World Wildlife Day (WWD) has been around since 2013 when it was first proclaimed by the Convention on International Trade in Endangered Species of Wild Fauna and Flora (CITES). Not only does it celebrate the protection of our animals, but it also raises awareness around the conservation of plant biodiversity. World Wildlife Day 2018 provided a platform to raise awareness about their plight and to galvanize support for the many global and national actions that are underway to save these iconic species. This includes not only our local lions, cheetahs, leopards and caracals but also tigers, snow leopards, jaguar and pumas across most continents. Their species survival is constantly under threat due to losing their habitats and ranges, hunting, poaching, climate change and smuggling across the world. Their populations have plummeted, some over 95% in the last 100 years, and it is important to continue the fight for their conservation. 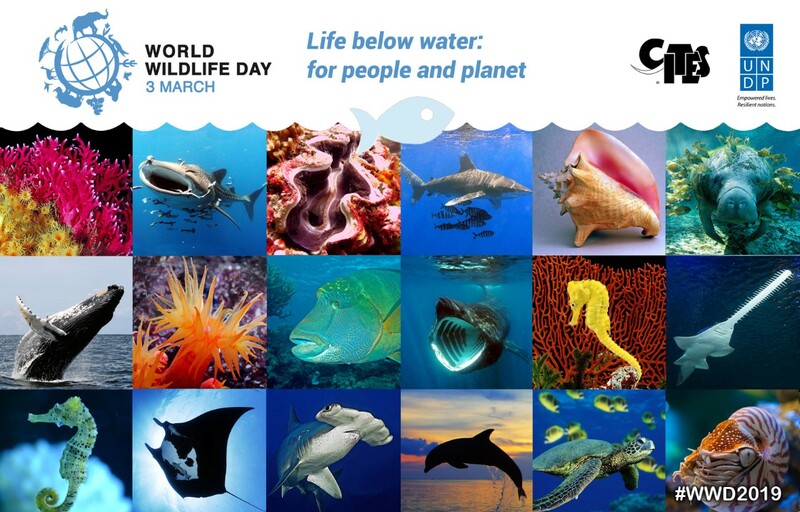 World Wildlife Day 2019 will be focusing on marine species for the first time. This year’s theme is Life below water: for the people and planet .